University students across the world have been holding events in support of the Palestinian people and to highlight Israel’s 71 years of violations of their rights, under the banner of Israel Apartheid Week (IAW), which started in Toronto in 2005. The organisers say the aim of the IAW is to “educate people about the nature of Israel as an apartheid system and to build Boycott, Divestment and Sanctions (BDS) campaigns as part of a growing global BDS movement”. Ever since the first IAW, Israel and its supporters have condemned it as “biased” and argued that Israel does not practice Apartheid against the Palestinians, at least not in the same way South Africa did against black people. More recently, the IAW has been accused of being anti-Semitic, particularly as it promotes the Boycott, Divestment and Sanctions (BDS) movement against Israel. The BDS movement started by Palestinians in 2005 calls for freedom, justice and equality for Palestinians. It wants to see an end to the occupation, the promotion and implementation of the Palestinian refugees’ right of return and for equality of all citizens of Israel. It is absurd to describe as anti-Semitic a peaceful movement aiming to pressure Israel to conform to international norms and to operate under than above the law. The campaign against the BDS movement is actively attempting to shut down any criticism of Israel or actions taken against Israel. They now throw around the accusation of anti-Semitism to smear and bully. Last year, holiday property listing site Airbnb, announced it would “remove listings in Israeli settlements in the occupied West Bank that are at the core of the dispute between Israelis and Palestinians”. It said its decision would affect about 200 settlement homes. Pressure was immediately applied and Airbnb was accused of anti-Semitism because it was delisting “Jewish” properties. The fact is the properties were in illegal settlements, in which only Jews can live. In addition, Airbnb had only applied its decision to the West Bank, not to Israel. Building settlements only for Jews can only been seen as a racist policy. It certainly would be seen as that if any other country built homes only for one ethnicity or demographic. In addition, Israel links many of these settlements with roads that only Israeli settlers can use. 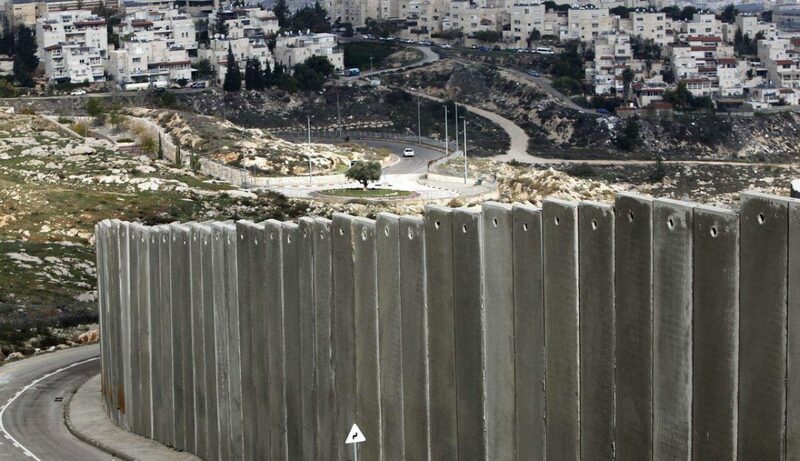 It discriminates in the proportioning of water between settlements and Palestinian towns and villages. It applies military law to Palestinians in the occupied territories but civil law to settlers, a few metres or kilometres away from them. A visit to occupied Hebron is almost certain to help a visitor conclude that Israel applies Apartheid policies to the Palestinians. In Israel itself, admissions committees can decide whether to allow people to move into the community. In the town of Afula, a riot broke out simply because a Palestinian family bought a house and planned to move in. Israel has a law of return which allows only Jews to settle, while barring Palestinian refugees from returning to the homes they were expelled from in 1948. Israel restricts the ability of its Palestinian citizens to marry but does not apply the same law to Jews. It is generous in approving planning applications to Jews but Palestinians struggle to obtain them and have to build without permits as their families grow. On July 19, 2018, Israel’s Knesset passed the Nation State Law. At its heart is the notion that only Jews have the right to self-determination in Israel, despite the state not defining its borders. It also demoted Arabic from an official language to having a “special status”. It enshrined the development of Jewish-only settlements as a “national value” and gave Jews across the world the “right to return”, to a state from which they do not come. Any objective assessment of the law would lead to the conclusion that Israel had enshrined Apartheid into its constitution. Despite much criticism both from within and outside the state, Israel was not moved to rescind this racist law. It was significant to observe that Israel’s main allies were not even moved to condemn this explicit racism. In the run-up to the Israeli elections on April 9, Israel’s Prime Minister Binyamin Netanyahu has made it explicitthat “Israel is not a state of all its citizens”, as he wrote in response to criticism from an Israeli actor, Rotem Sela. He used the Nation State Law to justify this statement. Despite Netanyahu’s defence of the law, his defence once again confirmed Israel as an Apartheid state. However, the world did not need Netanyahu to say what he said for this conclusion to be reached. Introducing its recommendations for action, it states “Israel has imposed a regime of apartheid on the Palestinian people as a whole, thereby challenging the United Nations and other international, national and civil society actors (including private citizens) to act in response”. Israel and its supporters were outraged at the conclusions of the report and pressure was piled on United Nations Secretary-General António Guterres. He did not resist and ordered ESCWA to remove the report from its website. He did not question its content but rather the procedures followed. Under-Secretary General and ESCWA Executive Secretary Rima Khalaf, who commissioned the report, resigned rather than agree to the report being taken down under her leadership. “It is only normal for criminals to pressure and attack those who advocate the cause of their victims,” Khalaf wrote in her resignation letter. Following the passing of the nation state law last year and Netanyahu’s blatantly racist comments confirming Israeli Apartheid, surely it is time the valuable ESCWA report was reinstated by the UN. Its claim that Israel was practicing Apartheid has been confirmed by its parliament, the Knesset and its prime minister. I call on the UN Secretary-General to reinstate the report, apologise to Dr Khalaf and issue an advisory notice on how its grave findings and recommendations should be enacted. He would then be discharging his responsibilities to the international community.